WWF's "Rivers for Life: The Case for Conservation Priorities in the Face of Water Infrastructure Development" addresses the need for approaches and methodologies that help identify and prioritize freshwater areas of conservation value. It showcases some of WWF’s freshwater prioritization assessments in the Amazon, Austria, China, India, the Mekong, and Mexico, each having been implemented in different contexts and under diverse conditions. WWF's case studies show that identification and prioritization processes are powerful tools in the realm of river basin planning, water management, and water infrastructure development. WWF and partners are applying prioritization approaches around the world. 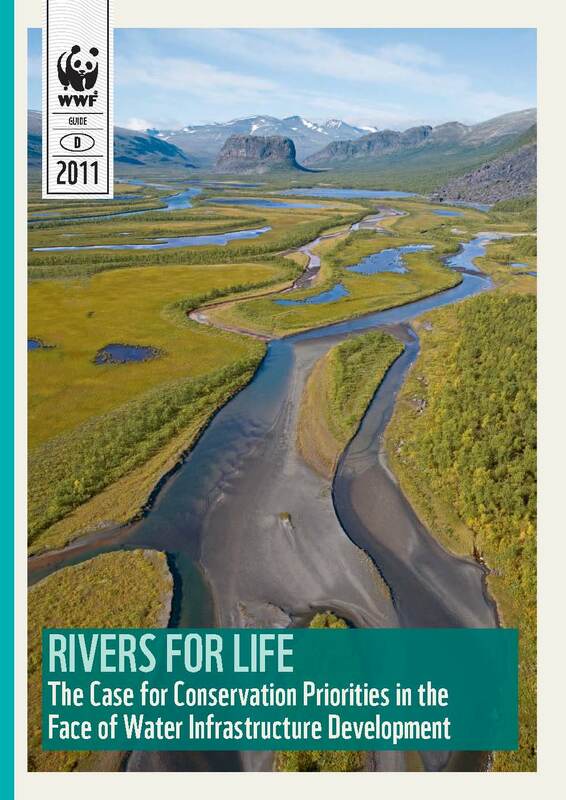 In “Rivers for Life: The Case for Conservation Priorities in the Face of Water Infrastructure Development,” WWF provides freshwater management decision-makers and stakeholders, including infrastructure developers and local communities, a guide on the prioritization methodologies available, and expertise on how best to implement such tools. As the world’s population reaches 7 billion, the demand for energy, food, and water has never been greater. An increasing number of freshwater ecosystems, which are the providers of vital services and resources to humankind – such as clean water, fisheries, flood protection – are being significantly impacted by human activities. By losing these assets, humankind risks to lose the very basis for livelihoods and biodiversity in many places on this planet. Identifying priority areas for freshwater conservation is an important step in ensuring that areas most valuable from a conservation perspective within river basins remain protected from disruptive infrastructure development and unsustainable use, while sustainably supplying societal needs for water, energy, and food. Methods for the identification and subsequent prioritization of areas of conservation value – both terrestrial and aquatic – are increasingly available. The WWF is developing and using such methods for prioritization of areas for freshwater conservation and to contribute in guiding sustainable development and human use in river basins, while also protecting important natural assets. While numerous approaches or methodologies are available to obtain credible results, there are a set of core planning principles that are critical in any freshwater prioritization process. Key among these is adequately involving all stakeholders in the decision-making process in order to secure the buy-in of society, and hence legitimacy of the process. This will ultimately allow for the outcomes to be integrated into legal, policy, and management frameworks, and turned into effective, sustainable practice. WWF has conducted prioritization assessments inter alia in the Amazon, Austria, China, India, the Mekong, and Mexico, all of which were implemented in different contexts and under diverse conditions. Through these assessments, WWF has gathered a critical mass of expertise and experiences, leading to the identification of key characteristics to successful approaches and opening the way to sound water resources management in the face of infrastructure development that responds to the increased demand for energy and food. The guide moreover provides recommendations to the main players involved – public authorities in charge of water management, private sector, and civil society – on key aspects to consider when engaging in a freshwater prioritization process.